WOW, drastic price reduction, makes this one of the best values in all of CENTRAL FLORIDA. Fabulous 5 bedroom 2 story overlooking pond and conservation area on an over 1/4 acre lot! Enjoy open floor plan with master and additional bedroom on first floor. Kitchen features cherry cabinets, stainless steel appliances and granite countertops. The living room is highlighted with fireplace and positioned across from dining room accented by columns. Huge bonus room on 2nd floor. Black aluminum fencing accents rear yard. 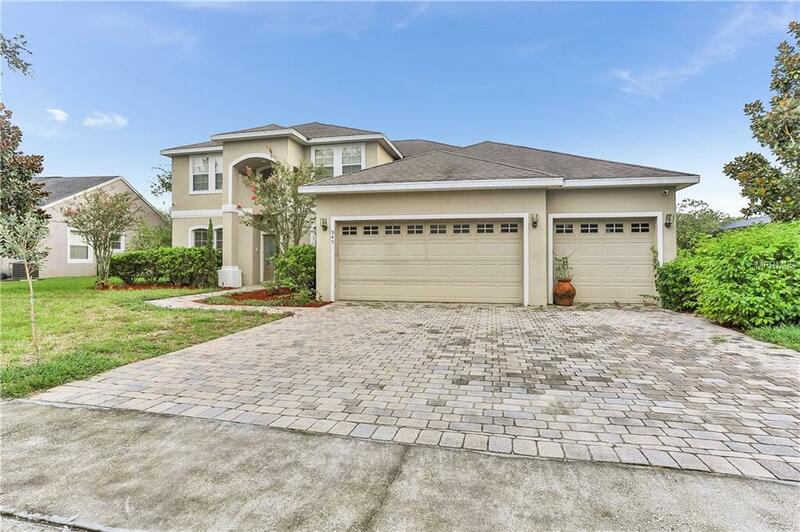 Enjoy gated community with private dock to Lake Apopka.